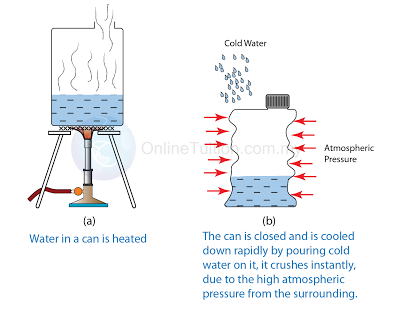 The existence of the atmospheric pressure can be proved by the following experiments. 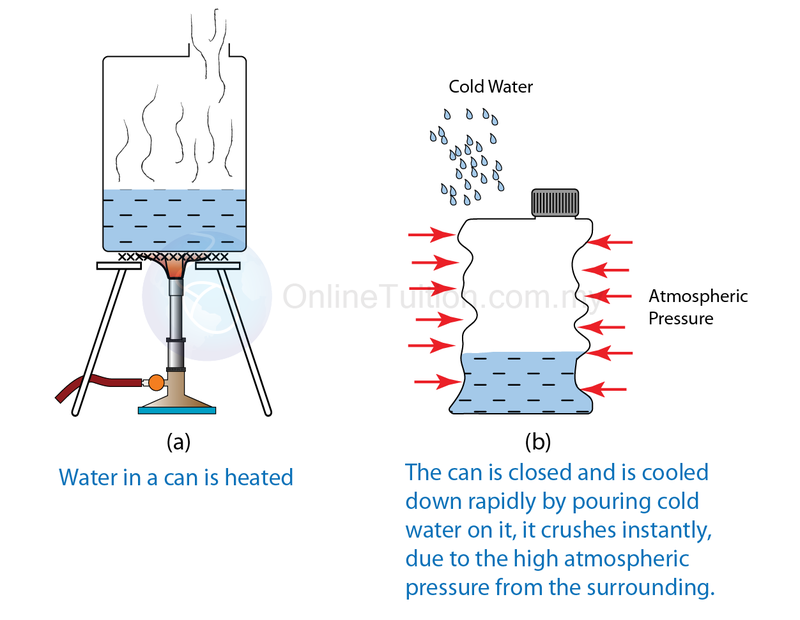 When a can filled with hot water is closed and is cooled down rapidly by pouring cold water on it, it will crush instantly. This experiment proves that there is a huge atmospheric pressure exerts on everything on the surface of the earth. The cardboard does not fall and the water remains in the glass even though it's not supported by anything. 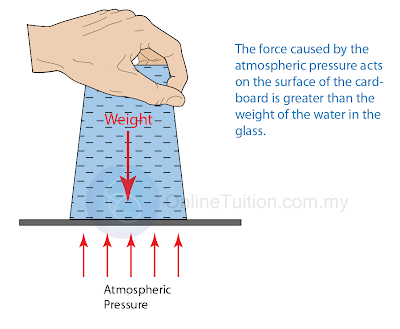 This is because the force caused by the atmospheric pressure acts on the surface of the cardboard is greater than the weight of the water in the glass. This experiment proves that atmospheric pressure is present on the surface of the earth. When the air inside the hemisphere is pumped out so that it becomes a vacuum, the hemisphere cannot be separated even by a very great force. 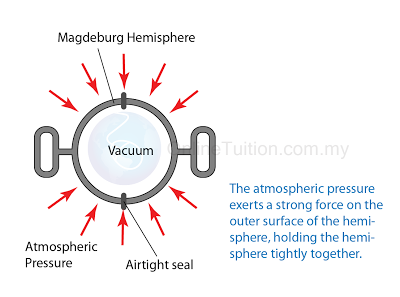 This is because when the air is pumped out, the pressure inside the hemisphere becomes very low. 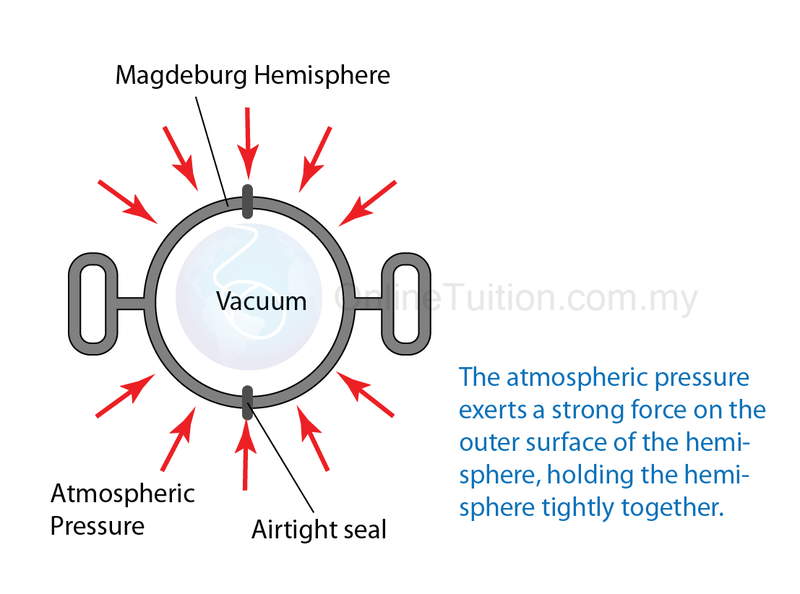 The atmospheric pressure exerts a strong force on the outer surface of the hemisphere, holding the hemisphere tightly together.